Why Is Your Heel Pain Not Better? Heel pain has become one of the most common complaints presented to our office by patients. Although there are several conditions that can cause heel pain, plantar fasciitis is the most common cause for people who have developed heel pain that won’t resolve. Plantar fasciitis is inflammation of the plantar fascia, a band of tissue similar to a ligament on the bottom of the foot that runs from the heel to the ball of the foot. Although the plantar fascia runs along almost the entire bottom of the foot, pain associated with plantar fasciitis usually starts at the heel or just in front of the heel. Common symptoms that occur with plantar fasciitis include pain in the morning after getting out of bed, sharp pain in the heel after resting for a period of time, or pain on the bottom of the heel after performing exercise activities. Attempting to treat plantar fasciitis by yourself can be difficult. Start with performing plantar fascial stretching exercises throughout the day, using ice to reduce swelling, and anti-inflammatories such as ibuprofen or motrin for pain. If your heel pain is persisting, then consider wearing more supportive shoes and avoiding use of flip flops, sandals or going barefoot. If you have tried these treatments for 5-7 days at home and your heel pain is STILL persisting, then you should see a podiatrist for help. Delay in seeking treatment causes plantar fasciitis to become a chronic condition, making it harder for your podiatrist to treat as well. At Advanced Podiatry, we have treatment options that can provide long lasting treatment for plantar fasciitis. We educate our patients on what has caused the plantar fasciitis to occur and what we can do to prevent it from coming back. Custom orthotics can be a great way to provide support to the plantar fascia. By correcting the alignment of your foot, less strain is placed on the plantar fascia which causes less inflammation and pain. Custom orthotics can be worn daily or only with activities that caused the pain such as running, long walks or standing for long periods of time. We provide orthotics that are fabricated in our office and are comfortable for patients to wear for any length of time. Another advanced treatment option at Advanced Podiatry for plantar fasciitis is shockwave therapy. Shockwave therapy is a procedure performed in the office that induces the healing cascade your body naturally capable to do. Your body tends to ignore conditions that have been present for several months such as plantar fasciitis. Shockwave therapy re-initiates the healing cascade and starts the process of tissue healing. If you are experiencing heel pain that is not resolving with home treatment, then call Advanced Podiatry at 813-875-0555 for an appointment. 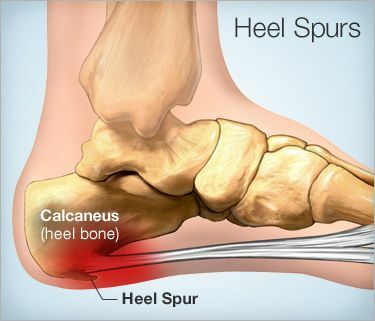 We can help you identify what is causing your heel pain and how to obtain long term relief! Numbness On Top Of Your Foot? How Do You Treat An Ingrown Toenail?